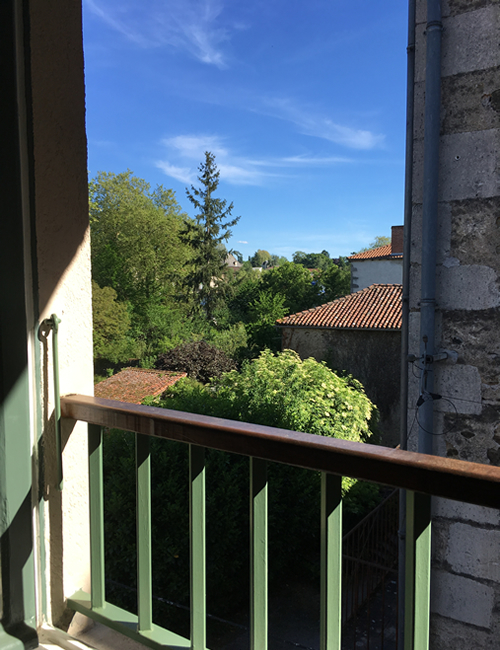 The third bedroom is a ¾ bed, with a nice bright aspect and views to the bridge across the river Vienne with the river itself twinkling through the trees at night. 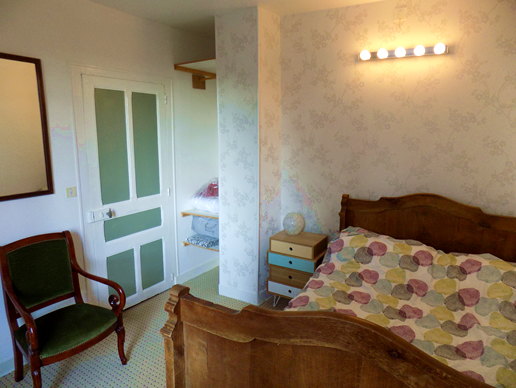 It is only accessible through Bedroom 2, so is ideal for child/children if parents are in ajoining room. 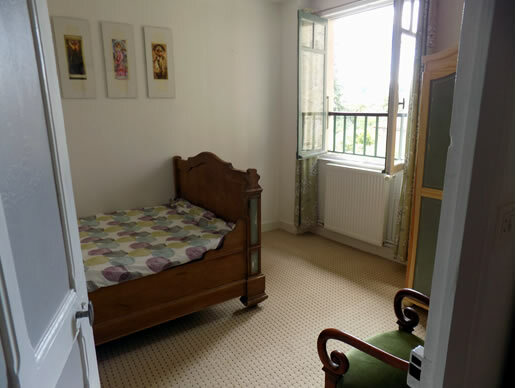 The Green Room, with lovely views over the tree-lined river and road bridge over the Vienne, complete with storage wardrobe, mirror and period wooden bed and occasional seat. The window opens fully with 'Garde Corps' safety balcony, sit and enjoy the evening view and the sounds of nature beside the river side. 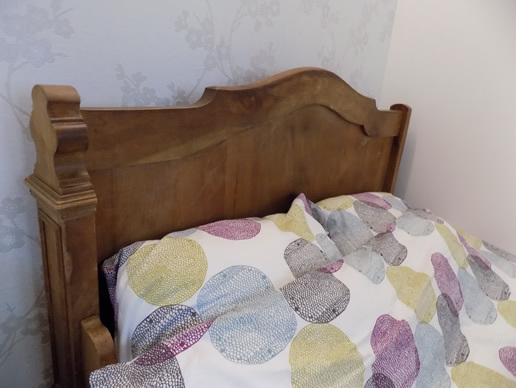 Please Note: Due to the height of old French houses we would like to stipulate care to make children understand the dangers of heights on arrival. 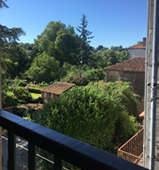 View from Bedroom 3 of our Confolens Holiday Let, across to the road bridge and river Vienne through the trees which can be seen sparkling through the trees at night, alongside the safety 'garde corps' balcony.